This is one of a series of quilts, exploring the illusion of overlapping transparent triangles. 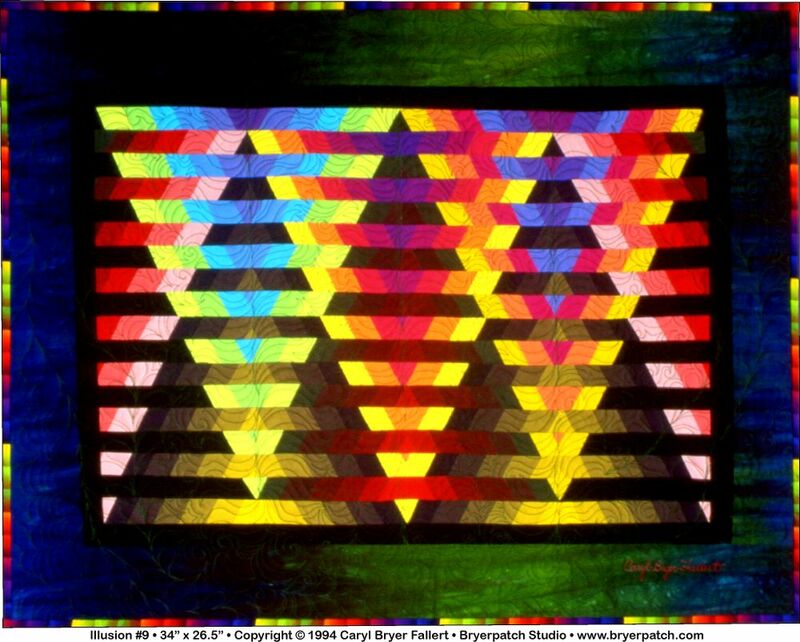 The triangles were pieced from strips of fabric, hand dyed in various gradations of light to dark colors. Each triangle was pieced separately and then cut into horizontal strips. The strips of two triangles were alternated when they were sewn back together. This creates the illusion of more than one triangle occupying the same space. 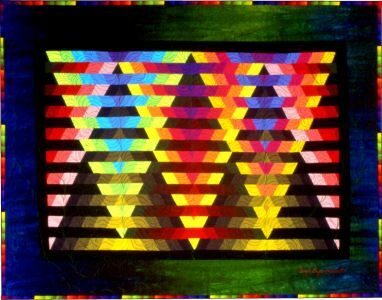 As the two sets of triangles were sewn together, the illusion of a third set of triangles appeared in the center. A border of hand painted fabric surrounds the geometric center panel. 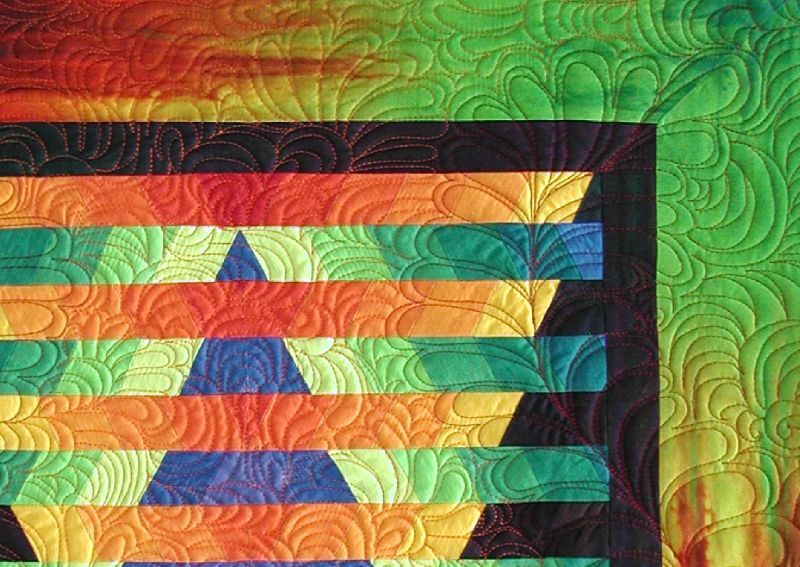 The binding is a rainbow striped fabric, which echoes the colors and geometric spacing of the center panel. 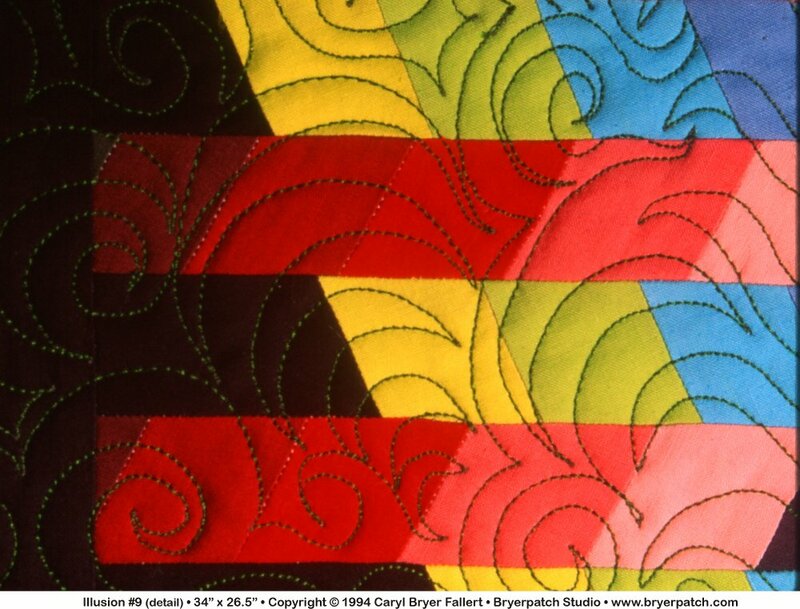 In contrast to the geometry of the pieced design, the quilting was done in a freeform, swirling, organic design. All of the machine quilting was done freehand, with no marking of the quilt top.